Porting is the process of making software adaptable to different systems however, the software is originally made for a different system. It is also defined as importing compatibility features to hardware to make it flexible to work for a range of devices. Application porting is done with the help of experienced software professionals who try to convert the application software that is previously done over different operating system to adopt different environment. For example, OS such as UNIX, Microsoft are some of the flexible platforms which are considered for easy porting technology. Application porting methods stays specific for respective devices with different operation system. In fact based on the compatibility of the operating system, a professional would be able to process with application porting. Application development is the process of developing suitable and customized applications with respect to the model of the device. Porting is shaping a particular application of another device to suit for new device. Application development is a different field that helps the consumers to stay connected to the web world easily. Tablet application development is done specifically for Tablet device with which the user can obtain more flexibility to work with and they do not need to depend on their PC for each and everything. There are paid services to take of application development, porting, application testing, game development and many more. The professionals will work on these platforms and provide suitable solutions with respect to different models of the communication devices. Application porting for Tablet signifies the compatibility of Tablet with respect to the application preferred and developed. In recent days Windows 8, Android, Ubuntu Linux, etc, are some of the OS that are ported for Tablet device. The compatibility of OS makes the device stay supportive to accept business integrated applications. There are many applications been developed to integrate business activities with ease and applications are also developed in accordance to the compatibility of the devices through which business activities are accessed. Tablet application development and Tablet application porting for business network stay much suitable for excellent business interaction. 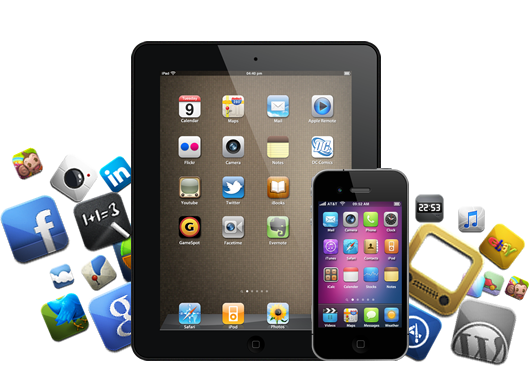 Paying for business application porting for Tablet will make your commercial activities simple and fast. Professionals would work on porting in terms of shaping the application to stay adaptable to portable device which in turn will provide the ease of working in a better way than working with personal computers. Porting applications for multiple devices is indeed a great job with high technical knowledge. Availing the paid services for application porting and development will stay a convenient and suitable option for business owners.